File that in conversations I wish I never had to have with a child. Many of your know this already, but for the sake of our guests and newest members, my father had this same conversation with me when I was a boy. 30 years ago this September, a 19-year-old man entered a local elementary school and shot students and faculty in the cafeteria and classrooms. This was 30 years ago, there were no resource officers and the front doors weren’t locked. Visitors were encouraged to come to the front office first, but I don’t think it was terribly enforced. He entered the school and went to the cafeteria. No real motive, he never went to the school and didn’t have a grudge against the people there. He was mentally ill and was bullied. He took the lives of 2 young girls and wounded nearly a dozen more. Two teachers I knew were shot, one in the face and one in the arm. The principal of the school responded in heroic fashion. She detained the murderer until the police arrived and then she went on to make sure the students and faculty were safe and ultimately in the arms of loving parents who were terrified. That principal was amazing and would later be recognized for her heroic efforts by the State of South Carolina and others. This was new ground. There was no template. This was among the first school shootings in our nation’s collective memory. Two days after the shooting, the principal and her family, including her 9-year-old son, went to the school to help clean the school. Who would want to enter that school again? But someone had to and the principal did. Everyone, including the 9-year-old, cleaned with 409and paper towels. I remember the media, the news trucks and reporters. I remember the color photographs on the afternoon paper that day. It seemed like everyone took their kids out of school that day, no matter where they attended. My parents had my cousin pick me up and I remember seeing the paper on her kitchen counter and knowing, even as a child, that the world had changed. The trial that followed was hard. It’s hard for us to imagine a trial as virtually all of the school shooters die at the scene. A family member of the shooter made veiled threats against the principal and her family were required to take precautions. On one occasion her 9-year-old son was picked up from school by a State Trooper. They slept in the living room at night to be away from windows. It was a scary time. It was a formative time. In the end, the shooter was found mentally ill and sentenced to death. It was the first time a person was sentenced to death while being founded mentally ill. The man is now almost 50 and still on death row. As someone who believes we must protect the sanctity of life from beginning to end, I’m happy for him to stay in jail. The school rallied. People in my hometown will always remember the shooting, but they have focused on more hopeful things, all the while not diminishing the tragic loss of life and pain. When the principal died 8 years ago, the school board swiftly and unanimously renamed the school to honor her heroism and leadership. 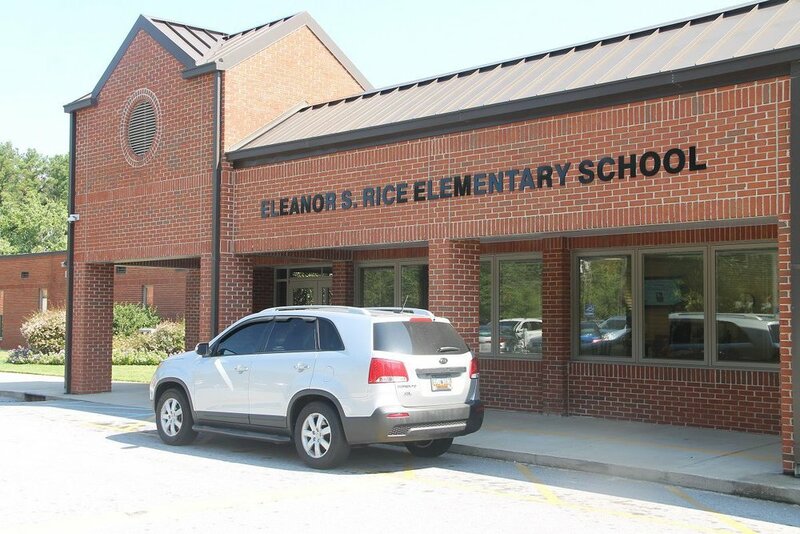 Oakland Elementary is now Eleanor S. Rice Elementary. 30 years ago that principal was my mother and I was her 9-year-old son. As you can tell, I was, am, and forever shall be immensely proud of her. When I look back on the past 30 years, I still don’t have clear solutions to the rise of school shootings, or shootings in general. If we are honest, we must recognize the complexity of sin. We can debate firearms and mental health, and those are important conversations, but they are too complex for this article. There are two things, however, that we must do. And these are two things we can do. We must teach our children the incompatibility of Christianity with bullying. We must teach them and model it. We must protect those who are different and we need to model that protection. I wonder if bullying isn’t the common incendiary to acts of violence, especially school shootings. In addition to asking our children, what they would do in the event of a shooting, have we asked what they would do in the event of bullying? And we must pray. There is a lot of cynicism regarding “thoughts and prayers.” We must resist that cynicism. We need to be thoughtful and prayerful. Prayer is what grounds us to Christ. Christ grounds us in our action. Acts without prayer deceive us in thinking that we can solve what is broken. We cannot. Jesus Christ, however, has. That solution, that salvation, is experienced through the life of prayer and trust. He has healed the brokenness of the world through his cross and passion. To know this healing, we must embrace it ourselves.